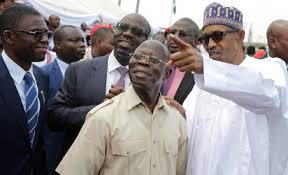 The Edo State Government says there will be a restriction of movement from 12pm to 4pm today on Ekehuan Road in Benin because of President Muhammadu Buhari’s visit to the state. In a statement by the Secretary to the State Government, Osarodion Ogie, the state government said movement would also be restricted on Ehaekpen junction and Agho junction, as the President would be hosted at Garrick Memorial School. The statement said, “Residents in the area are advised to avoid this route (Ekehuan Road), particularly between Ehaekpen junction and Agho junction.